After an excellent start of this series with Joel Runyon, I’m happy to publish the second At Work interview today. 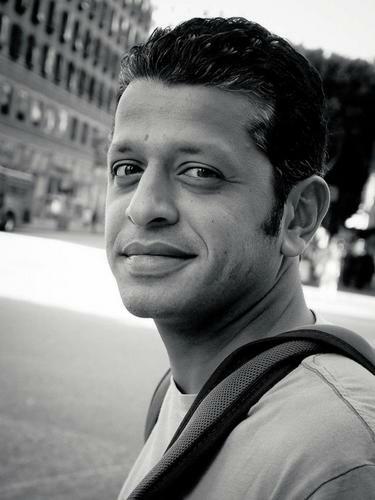 In an extremely interesting conversation we had via Skype, Srinivas Rao from Blogcast FM and The Skool of Life talks about distraction-free writing, the 80% crap ratio, and how he finds the fuel to his creative fire. A full transcript (4600+ words!) in a beautiful PDF will be sent around to subscribers of Mails Beyond Rules. If you’d like to get it, why not become a (free!) subscriber? By the way: Love the new Design! Great interview Fabian, with a beautiful transcript to go along with it. Nice. Thanks for pointing out Michael Moynihan piece on Jonathan Lehrer’s Imagine book. Lehrer’s codas mesh disciplines that many feel should only be viewed apart. This aspect of his work is open to debate. What is not open is his plagiarism.